Along with benefits of improved productivity and reduced commute time, there are challenges in remote, mobile and telework environments. All employees should have clear expectations from their supervisor on schedules working from home and being in the office. Ideally, there should be staff meetings to review these expectations so everyone is clear. Then, have a group or shared calendar that staff can post their leave and telework days. Should telework or remote work days be fluctuating or should they be relatively set? If a staff person wishes to switch telework days because of personal reasons, will that be acceptable? And in which circumstances? Should staff stagger their schedules so that the office is always covered? If there is an important meeting or training, and some of the staff are teleworking should it be required for them to come to the office for certain functions? If so, what type of functions? 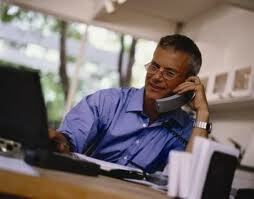 If there are staff who do not want to telework and work from home, will that be acceptable? If you require assistance in facilitating these discussions or would like to provide Working Remotely Effectively Trainings for your remote work force, contact us! Along with benefits of improved productivity and reduced commute time, there are challenges in remote, mobile and telework environments. Consistent and reliable communications is cited as a common challenge among remote workers and their colleagues. Meetings and face-to-face interaction are necessary in any business. In a remote work environments, it is still important to maintain strong communications to have effective team communication and collaboration. Although there are many types of non face-to-face communication methods, most offices use the primary three; phone, email and instant messaging. With these communication tools it is important to establish clear guidelines of use and expectations. A lack of responsiveness reinforces the belief that remote workers are neither working nor producing results. For instance if there was a in the office daily check-in established either one-on-one or in a group, determine how to do that check-in via other communication options. When a manager or staff person needs to get a hold of an employee immediately, determine which communication tool is most appropriate for the team. Be clear on expectations of responsiveness with each communication method. For example, a guideline might be with e-mail a 24-hour response is expected whereas with phone communications within one to two hours. Along with benefits of improved productivity and reduced commute time, there are challenges in remote, mobile and telework environments. One challenge is working in a smaller shared space in close proximity with others. In smaller shared environments, it is important to be more conscientious of others. Here are a few tips when working in remote work environments. Be mindful of volume when talking. When needing extensive conversations, or in the case certain individuals might be louder speakers, use the quiet rooms. Make sure to organize and clear off the desk area nightly before leaving the office. Put back any office supplies and/ kitchen items so that the desk is ready for another staff member. 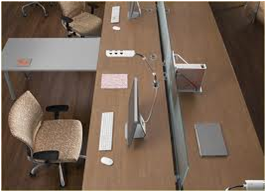 If a larger space is needed and/or two desk areas to do work is needed then make sure to communicate with colleagues. Mute volume on phone and computer. When possible mute the phone and computer if the noises might be distracting to others. Consider using a headset if the ringers and alarms are necessary. As the work force continues to evolve and globalize, more companies are evaluating a telecommuting and working remotely strategy to save overhead costs, increase retention, improve productivity and lower carbon footprint. According to a recent 2009 Cisco Telework Survey, they found approximately 69 percent of the employees surveyed cited higher productivity when working remote, and 75 percent of those surveyed said the timeliness of their work improved. Cisco reported it has generated an estimated annual savings of $277 million in productivity by allowing employees to telework. 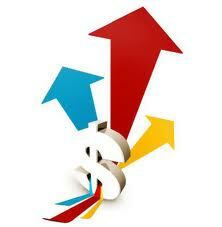 Teleworking can also be a great “green” initiative to promote in a company. It can not only reduce time spent on the road but lowers carbon footprint and reduces gas consumption. Vehicles on the road now account for at least 25 percent of the CO2 emissions nationwide, according to the Federal Highway Administration. According to the Telework Coalition, , based in Washington D.C., if 32 million working Americans could telecommute at least one day per week, they would save 74,164,700 gallons of gas. Along with benefits of improved productivity and reduced commute time, there are challenges too. Telework tends to amplify pre-existing worker challenges. Managers need to trust their employees are achieving the same performance results while working from home. 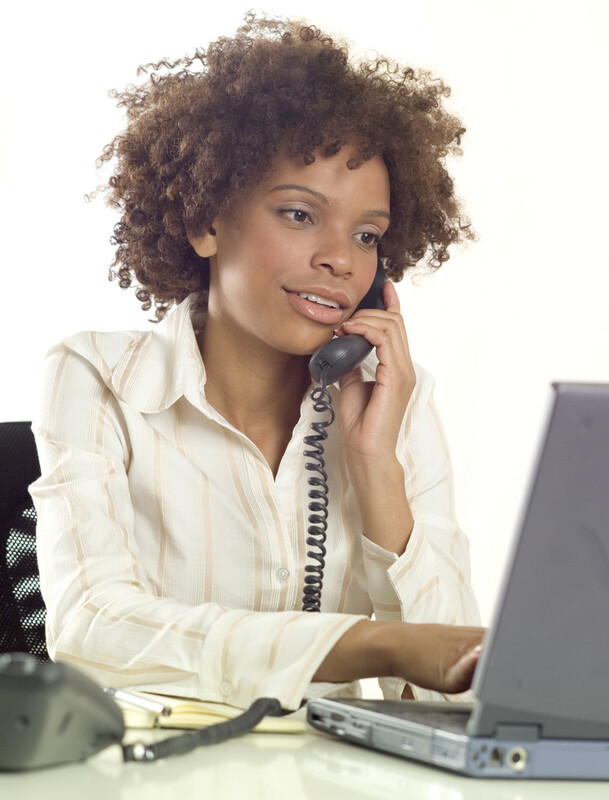 Consistent and reliable communications is also a common challenge cited among teleworkers and their colleagues. All employees should have clear guidelines and expectations when working from home. Ideally, there should be a company policy on telework along with a contract agreement between managers and employees on communication expectations and performance results. This policy should cover core work hours, communication expectations, IT equipment supplied, performance expectations and mandatory training. Commuter Challenge has some great resources and templates on telework guidelines, policies and agreements. U.S. Federal Government produced a Guide to Telework in the Federal Government that provides a very comprehensive set of guidelines, policies for both workers and managers. Telework Coalition (TelCoa) also has a short list of recommended telework guidelines.